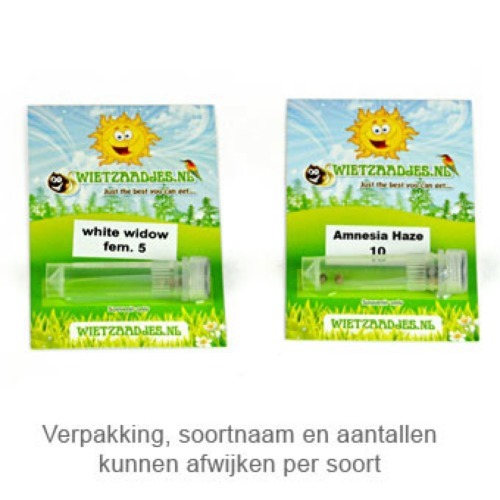 Amnesia from Our private label from are feminised cannabis seeds, which are of good quality and have good genetics. Regularly we are test our cannabis seeds to keep the quality at a high level. Hereby we can guarantee the highest quality. We can also guarantee a rapid germination, stable growth and exuberant bloom of all our Private Labels. Our private label Amnesia cannabis plants become strong and produce a very powerful weed, which isn’t appropriate for the starting grower. This strain is known for her white buds, this mean they contain a lot of THC. She is appropriate for indoor and outdoor grow and contain mainly Sativa genetics. It is important that the flowering period is not too humid if you choose for an outdoor grow. Lots of rain or much moisture during the flowering period could probably provide bud rot. The taste of this weed is light fruity and the effect of smoking is intense and heavy. 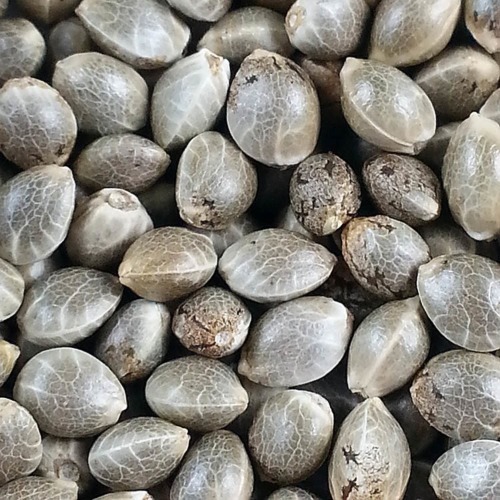 Growing weed with these nice feminised cannabis seeds generate a very popular, well-known and powerful weed. You can buy this weed in almost every coffee shop. Tell us and our customers what you think of the Amnesia from Private Label.